The Australian Gliding Museum first met as a committee on February 26th 1999. 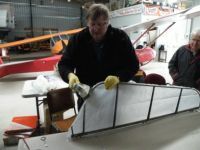 This brought together a number of kindred spirits interested in preserving older and historic gliders. 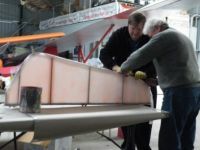 These gliders are scattered all over Australia and the aim is to collect them in a safe place before they become destroyed or deteriorate beyond sensible refurbishment. Other interesting gliding paraphernalia also is becoming available. 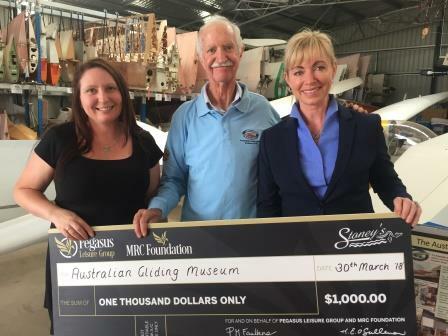 A strong catalyst for formation of a glider museum was the discovery that an important Australian designed Schneider glider had left Australia bound for a foreign collection. Find us on Google maps. To join the Museum view Joining and Visiting. To make a non monetary gift view Deed of Gift. The AGM will be running Wood and Fabric Courses. 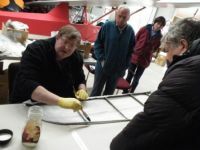 A Fabric Covering & Wood Repair course will be held at the Bacchus Marsh airfield in the Museum buildings. Cost for each course is $450 and all materials and lunches are provided. Clubhouse accommodation is available. 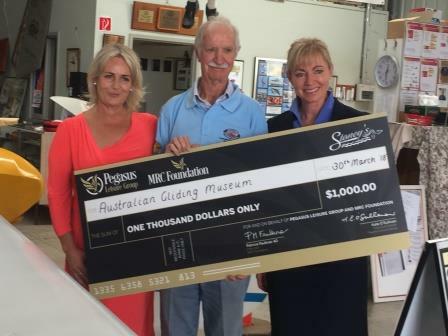 The Australian Gliding Museum has been honoured with the presentation of a cheque for $1000 from the Pegasus Liesure Group and the Melbourne Racing Club (MRC) Foundation, to assist with its work on the preservation of Australia's Gliding History. 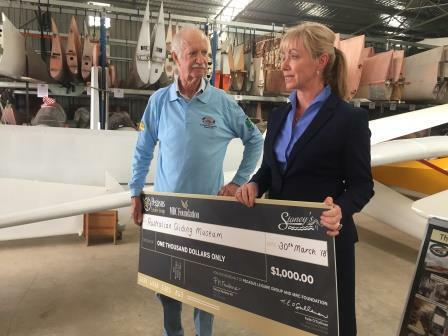 Kate O Sullivan General Manager - Pegasus Liesure Group presented the cheque to Australian Gliding Museum President, David Goldsmith. This recognises the support the Museum gives to local restaurant "Stoney's". UPDATE: All AGM Newsletters have now been added to the website. Future issues will be added, after distribution to AGM financial Members. 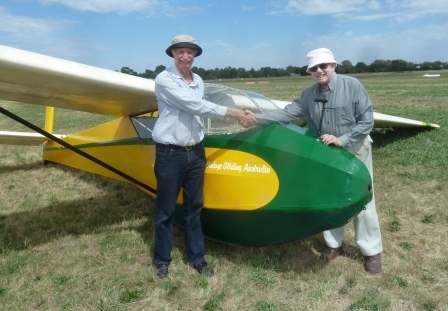 Australian Gliding Museum features the world's third oldest fibreglass glider at the 2016 Open Day. 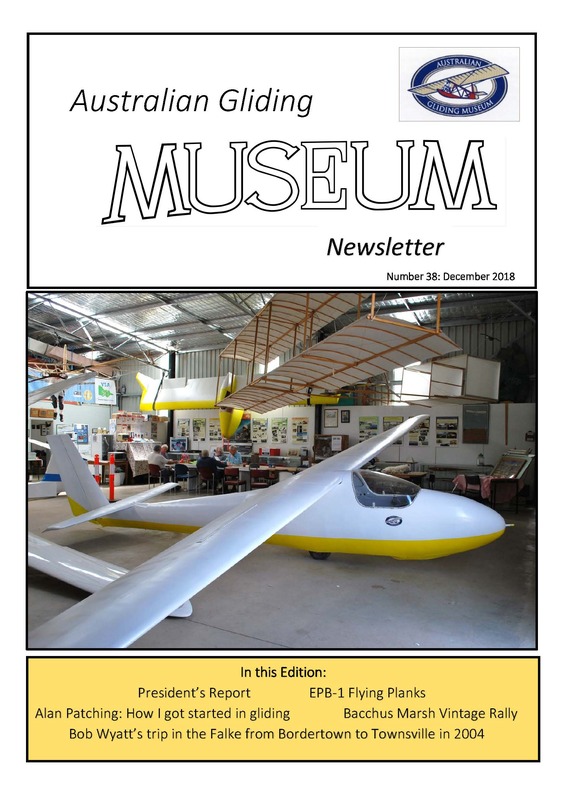 © 2008-2016 Australian Gliding Museum. All rights reserved.